Forward, March! To The Mens Dept! The Mens Dept is Ready for a New Year! Happy 4th of July From The Chapter Four! Haircare for Rapunzel: Vintage hairbrush & mirror set, flacons and flowers are included. Currently only available at the event; later at the mainstore and marketplace. How does a vampire enjoy a sunny day? 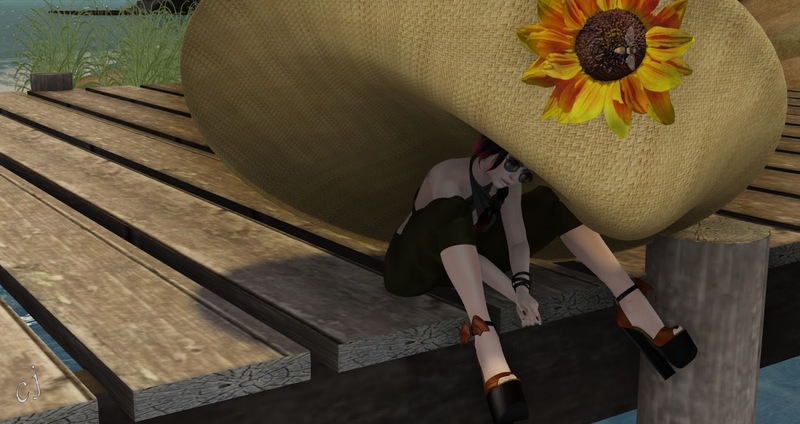 In Fashion, Free*Style, Second Life · Tags anniversary gifts, canimal, Clover Jinx, Gabriel, iheartsl, iheartslFeed, JT - Meshes, Mirror, Random Matter, SCANDALIZE, suicide dollz, The Chapter Four, The Little Bat, The Mens Dept. With a really big hat! Taking a break to enjoy some more gifts from The Chapter Four and other places. The Chapter Four Celebrates its Fourth Anniversary! The Chapter Four is celebrating 4 years, with lots of designers and gifts! Yes you heard me right, gifts. Christmas in May! As i used to tell my Friend Bambi..GO GO GO NOW, Well not now, but May 4rth be there or be square! It’s Not a Trick, The Chapter Four is Back! Must Haves at Men Only Monthly!